THE MARTINI CHRONICLES: Ways To Maximize Your Tax Refund! Ways To Maximize Your Tax Refund! Greetings Divas! Please indicate by a show of heels if you still have not filed your taxes...I'll wait! Well, surprisingly you are not alone. There are many folks who tend to file their taxes on or in close proximity to the the April 15th deadline. But I'm not here today to chastise anyone on not yet completing his or her taxes...that would be hypocritical of me since I am one of those last minute folks (no judging please!). 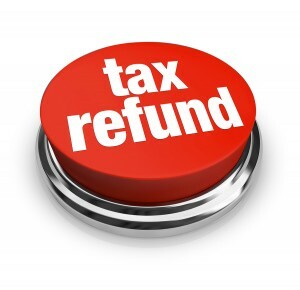 The reason for this post is share suggestions on what to do with your tax refund. In the past, I have suggested ways in which you could maximize your tax refund (see here...and here!). Many of my suggestions focused on self-improvement, like paying down debt, investing in oneself with further professional training, or contributing to one's savings. As we approach Tax Day, I am happy to present the Infograph below, which was created by the good people over at the U.S. Tax Center. It presents some great ideas on how you can maximize your tax refund. Take a moment to check out these tips; they can be useful if you have already received your refund, or if you anticipate one in the near future. As always, if you are in the sharing spirit, add a few of your own suggestions in the comments. Enjoy and have a great week!